Have you ever seen a mockingbird chasing a hawk? If you haven't, you can find quite a few YouTube videos of such an event. We have a couple of sets of overly protective mockingbirds nesting in our yard this year, and while I haven't seen a hawk lately, I did see one of them running a pair of crows out of town. 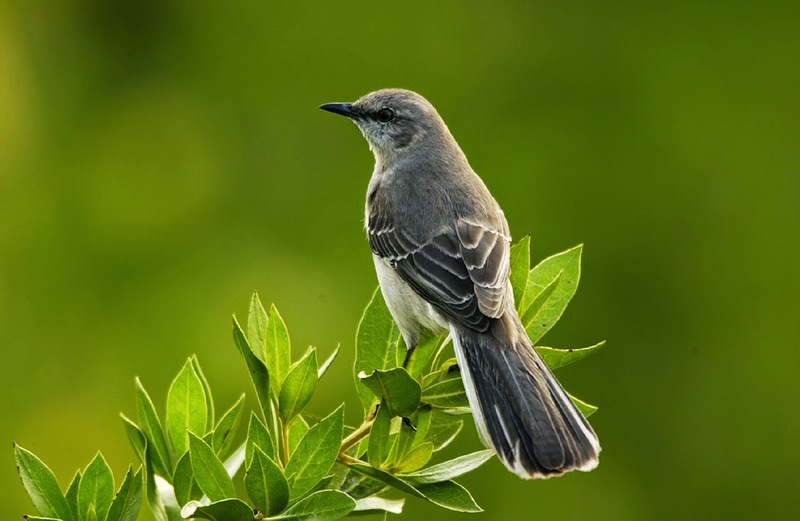 The mockingbird is, of course, just protecting the nest, harassing these larger potential predators to keep them away from little mockingbird offspring. But if you have watched the mockingbirds go at it, you have to admire the tenacity and passion by which they go about their protective duties. To draw a parallel, we all have hawks that come into our daily lives, whether giant projects, stress, co-workers, or something else. It's up to us to fight them off. But in order to succeed, you have to identify what you are passionate about to the point that you will take on the larger foe, no matter what the cost, and you will stick with it until you have emerged victorious. Sometimes you may look like a silly tiny bird bouncing off the back of a giant and getting nowhere. That's OK. Just find your driver, your passion, and focus on that to motivate you to keep going. Eventually, the mockingbirds win. What's your hawk? And what's your passion?